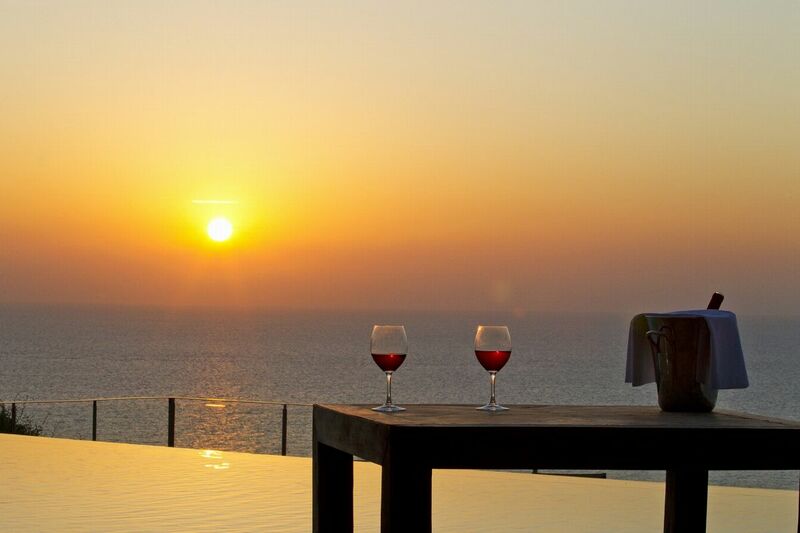 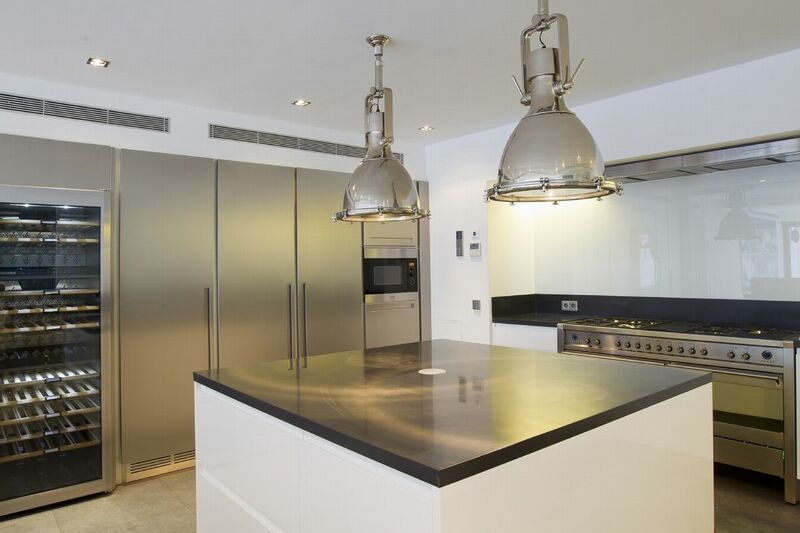 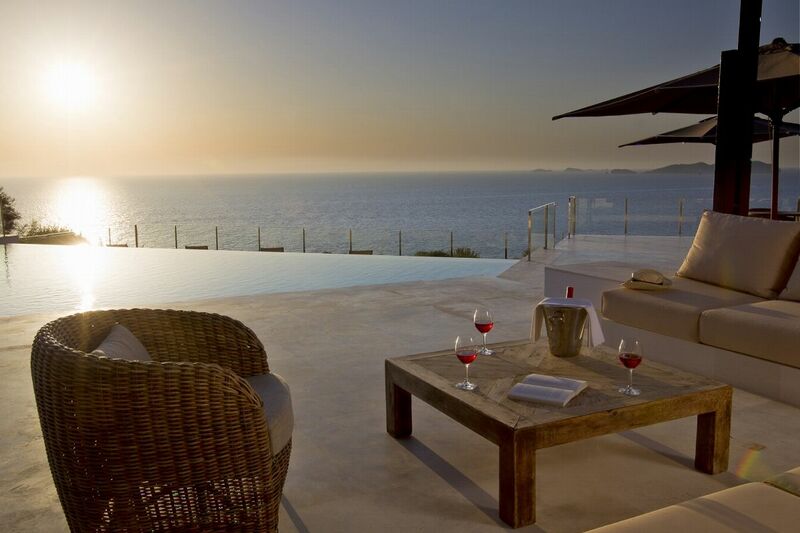 Frontline modern property with exceptional finishing and breathtaking sunset and sea views. 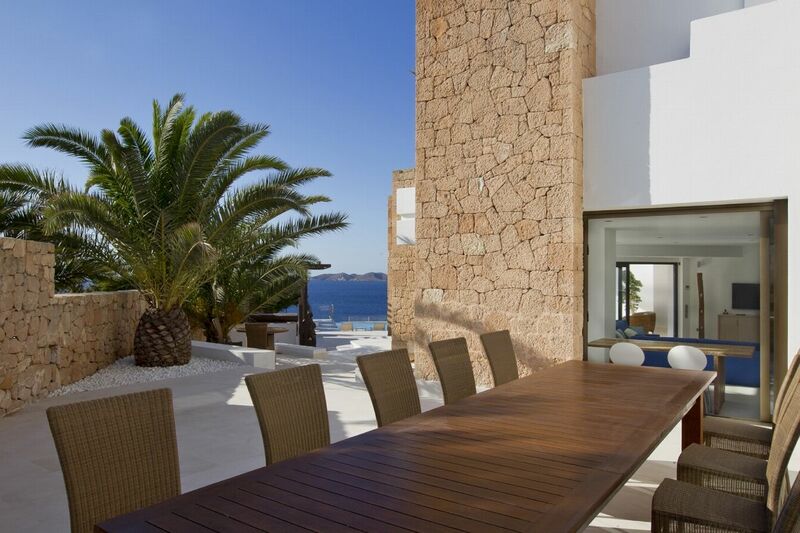 This stunning villa is located on the tip of Cala Vadella, in the exclusive Calo d'en Real complex, it is about 10 minutes drive from San Jose and Cala Jondal and approximately 20 minutes drive to Ibiza Town. 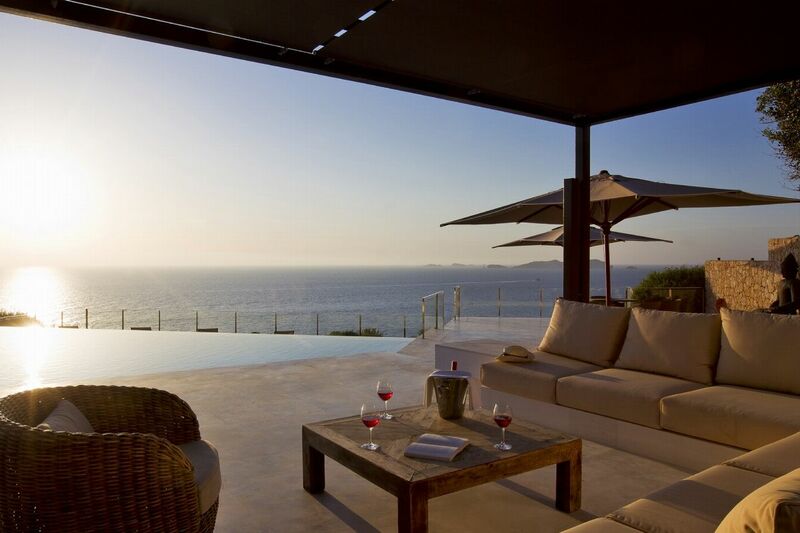 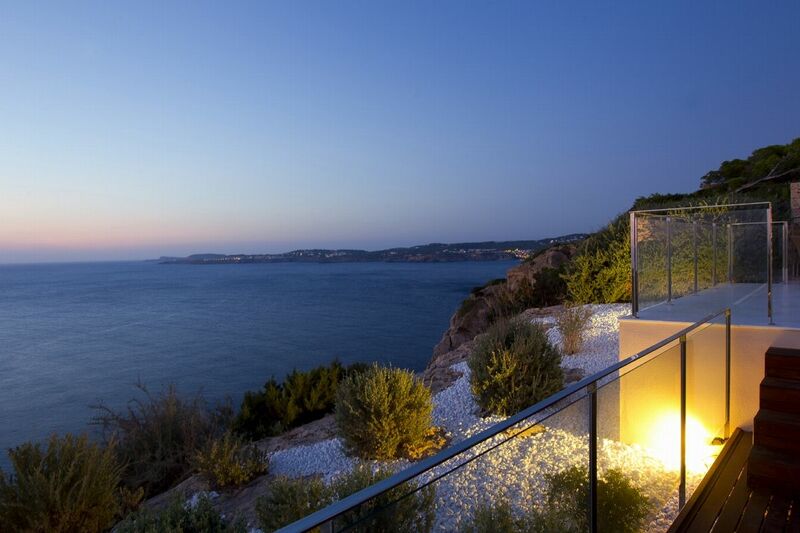 This property has breathtaking panoramic sea and sunset views. 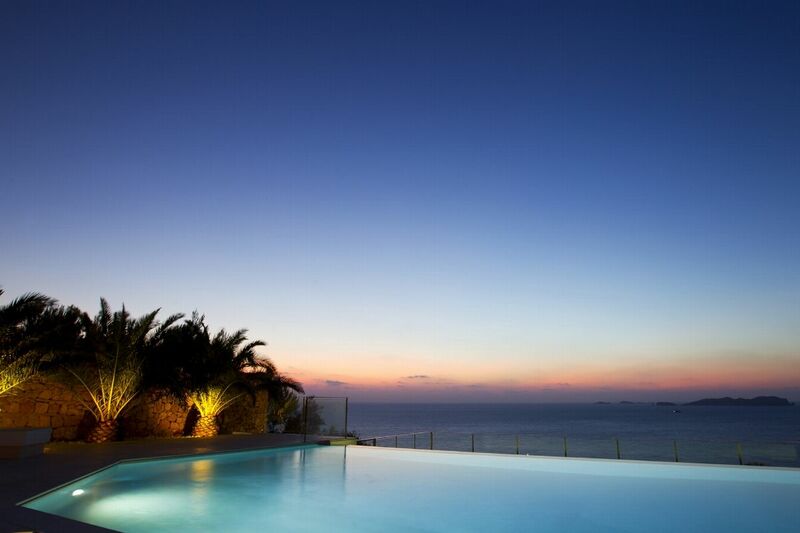 Situated right on the seafront, it measures more than 750 m2 and is south-west facing..........the sunset views are sensational! 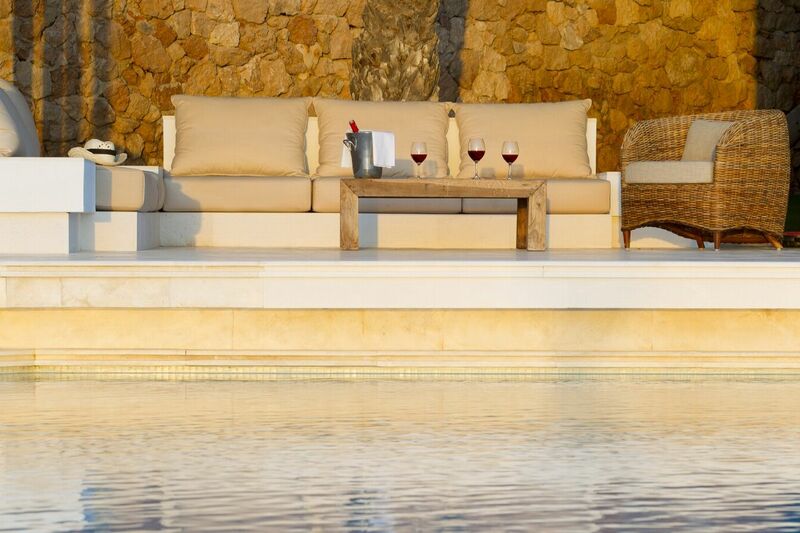 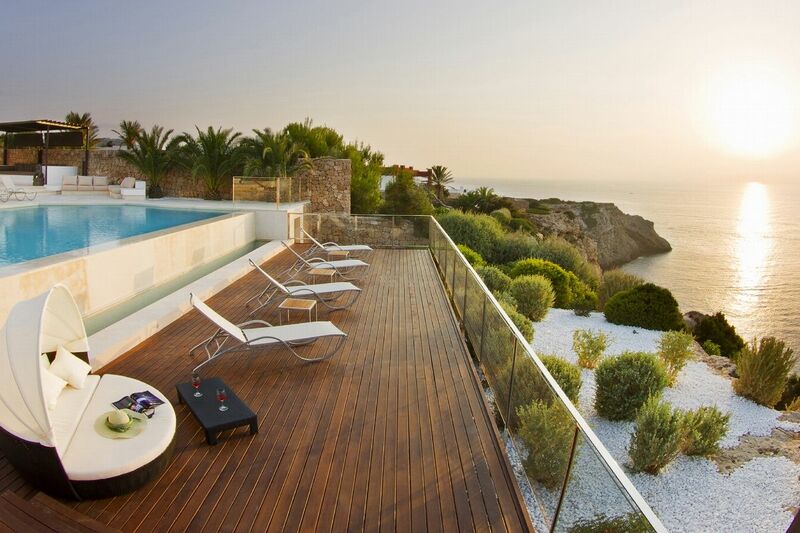 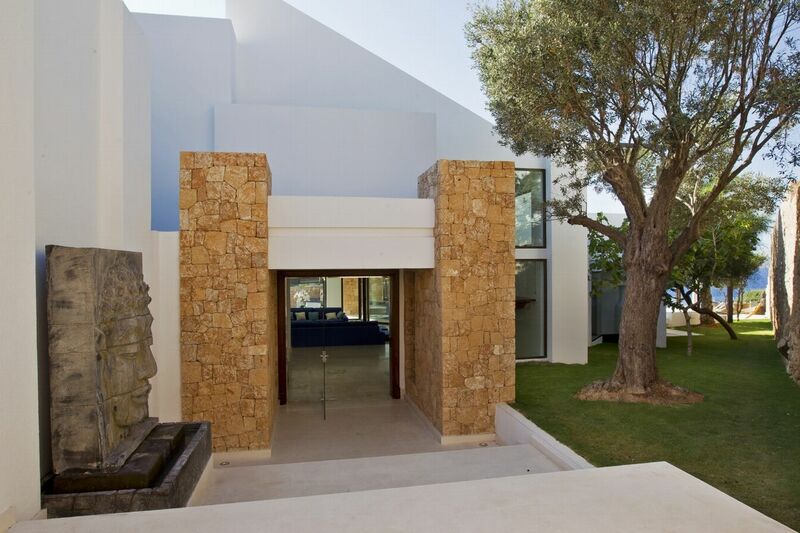 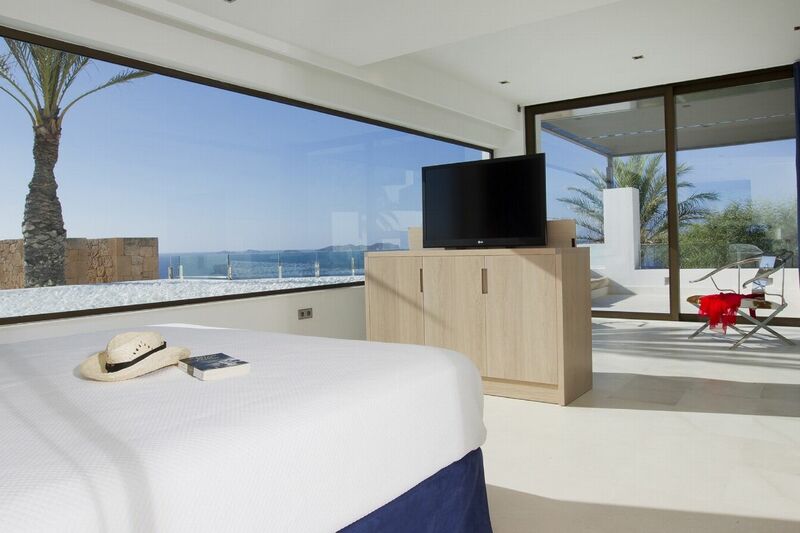 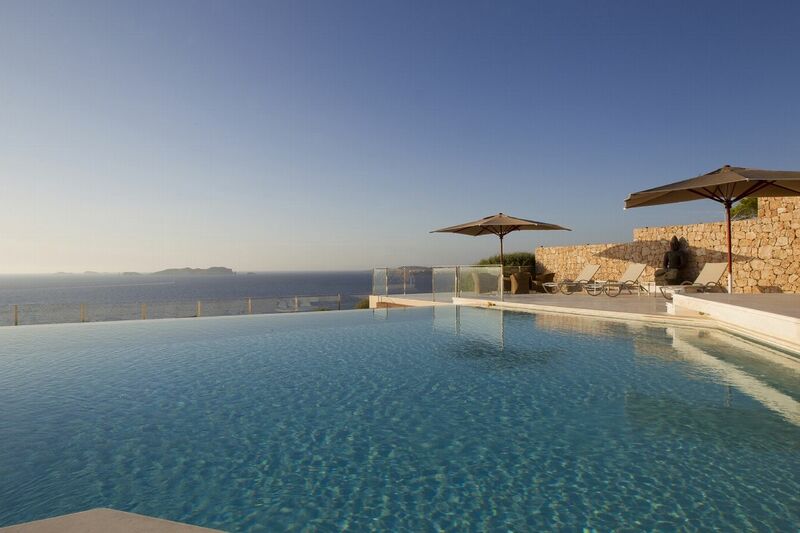 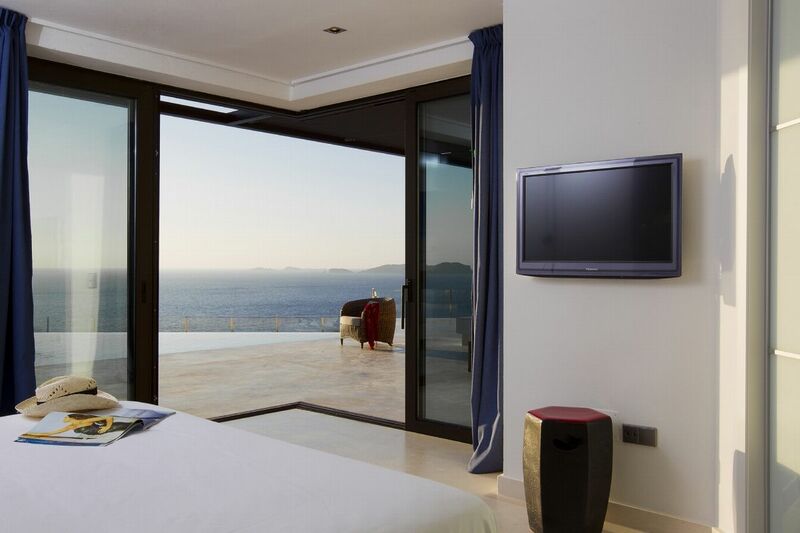 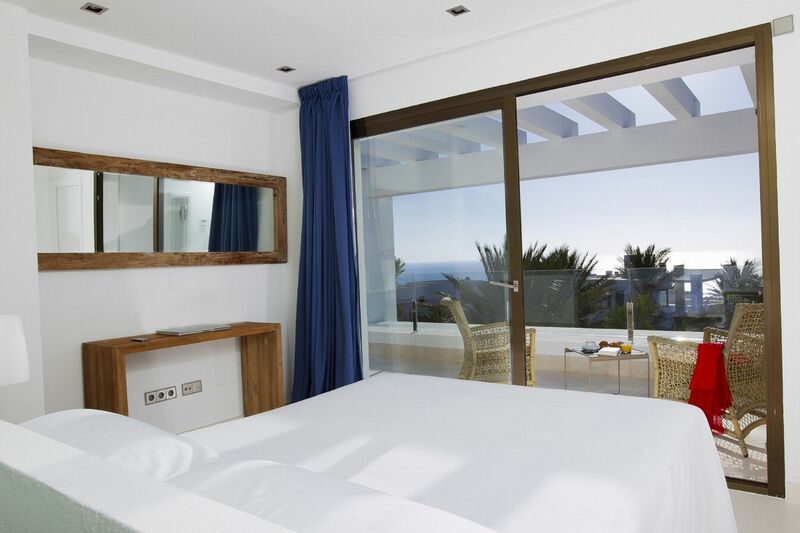 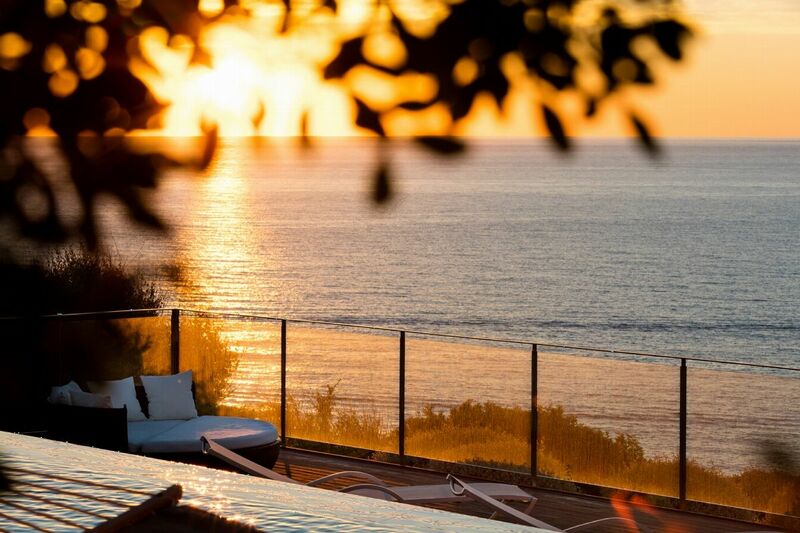 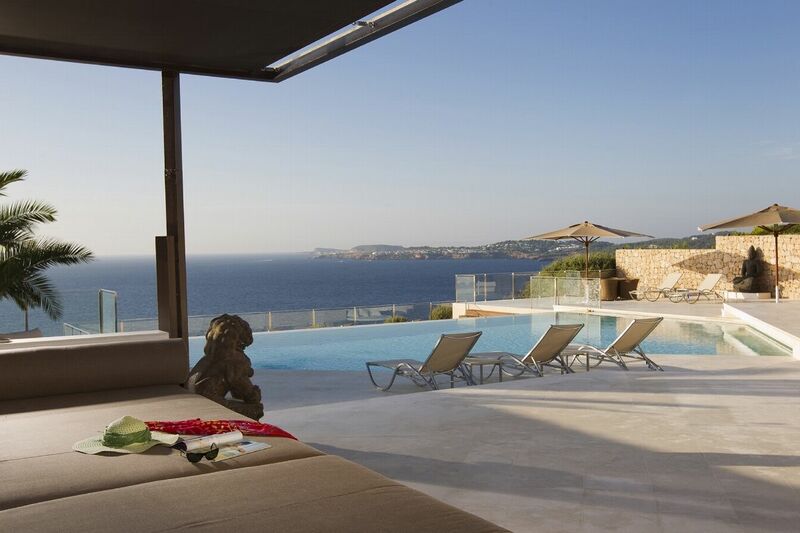 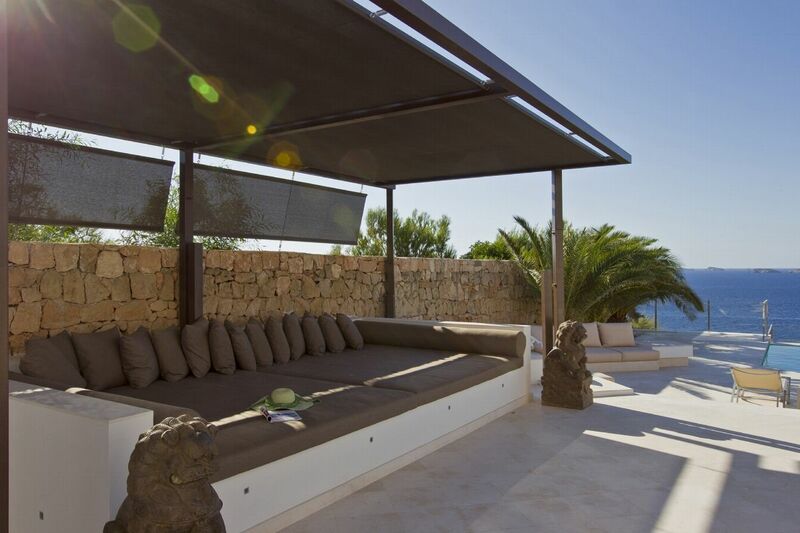 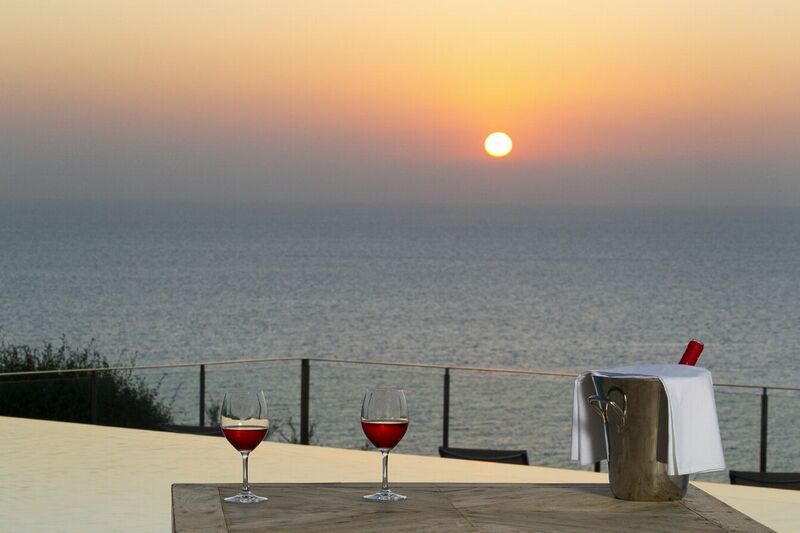 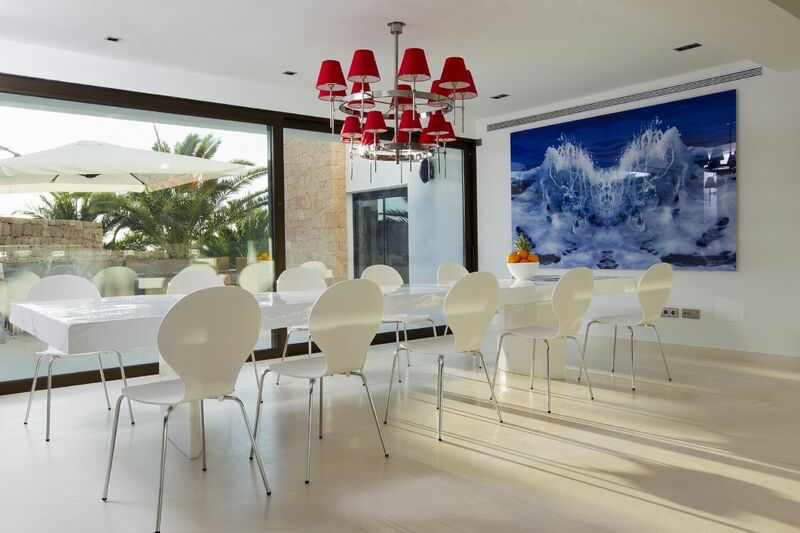 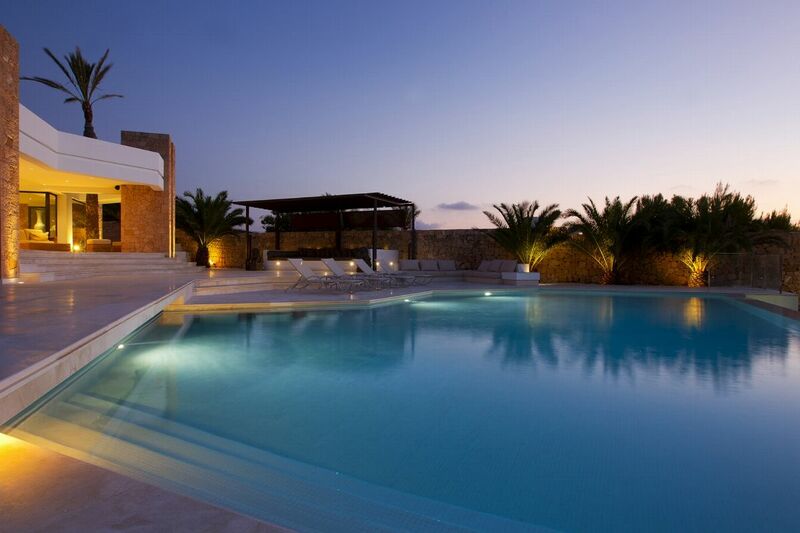 It has luxurious accommodation with exceptional finishings and has been voted one of the best villas in Ibiza. 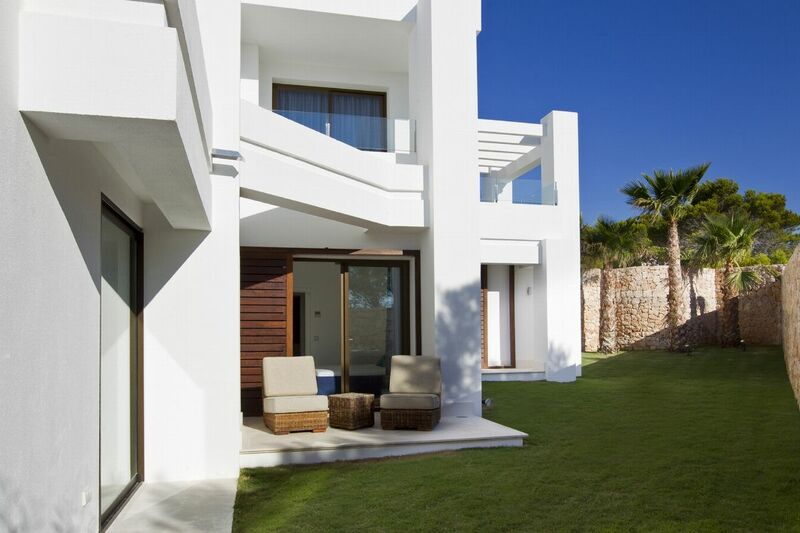 There are several fantastic terraces with a huge infinity pool looking out to the sparkling Mediterranean Sea and the property also benefits from an outdoor dining area, chill out area, 2 indoor parking areas, an alarm system, secure boundaries and a video intercom system. 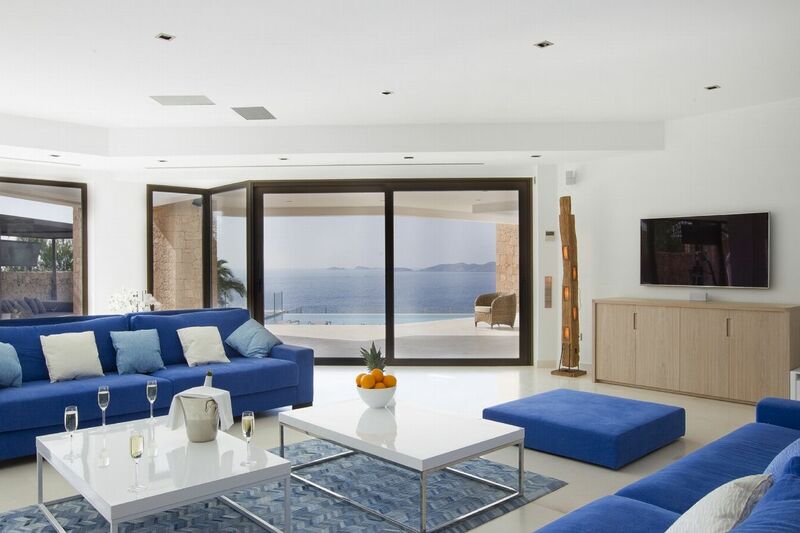 LIVING AREAS There is a wonderfully spacious lounge with huge comfortable sofas where there are floor to ceiling windows which open out onto the amazing terrace. 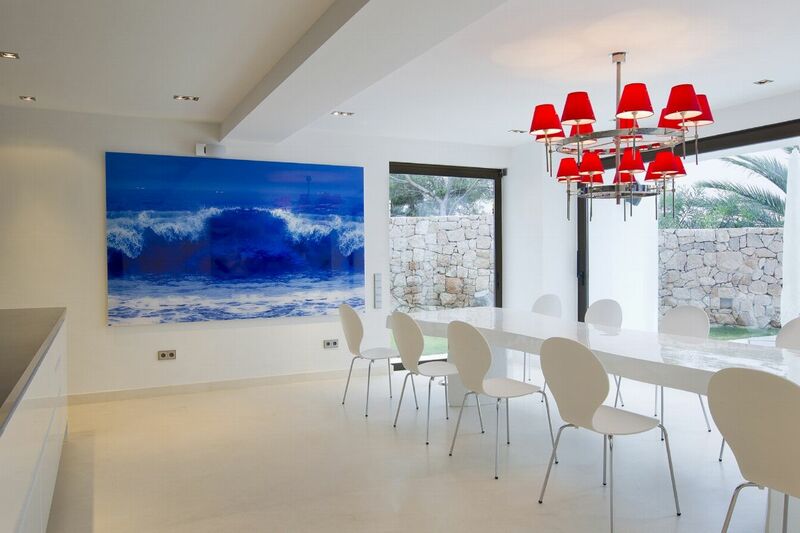 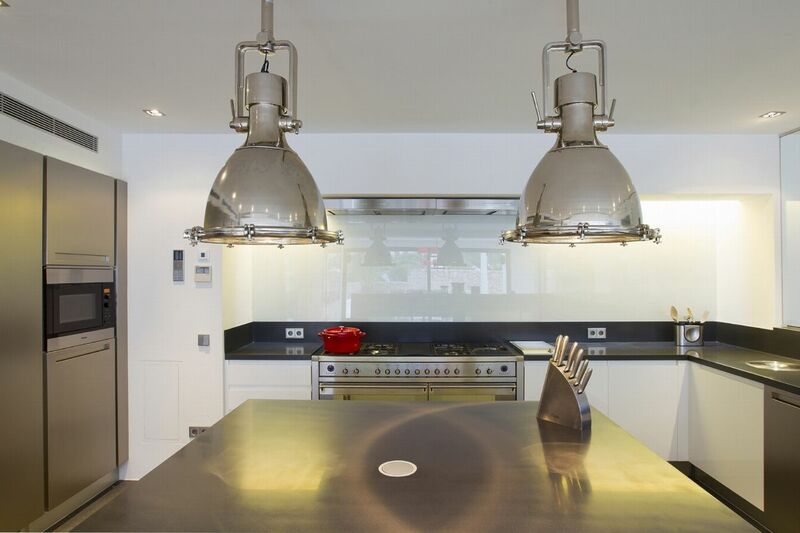 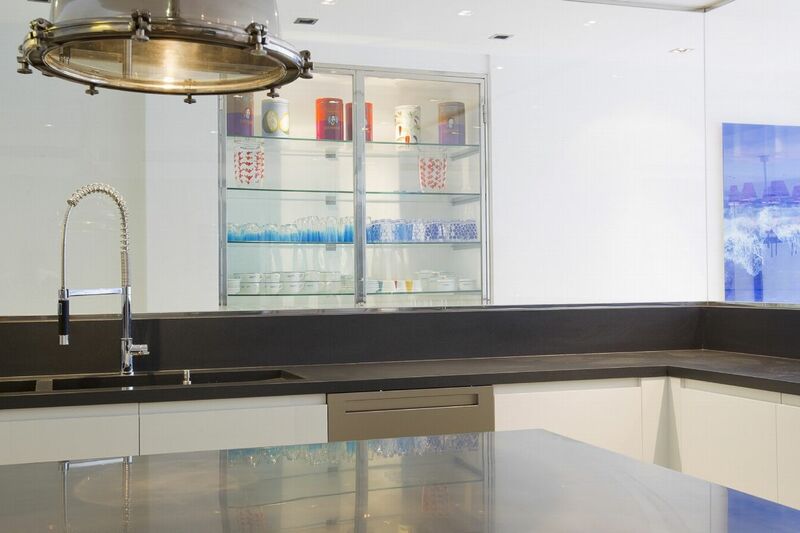 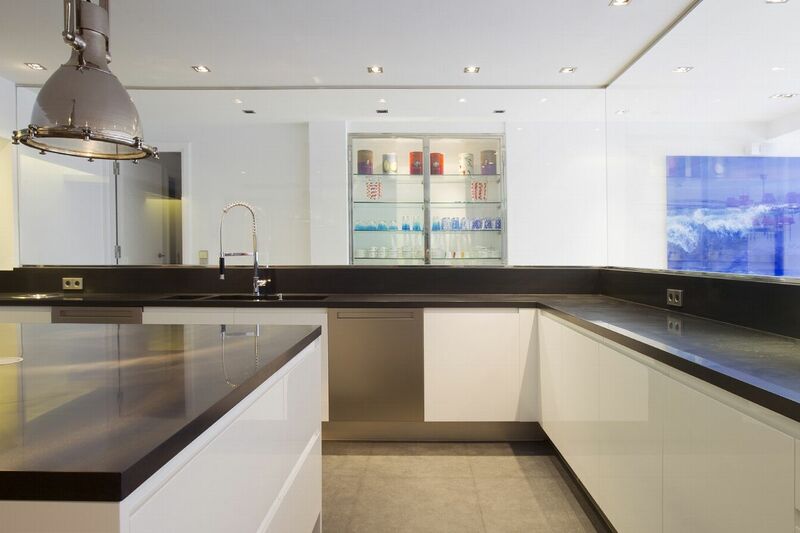 There is a dining room with seating easily accommodating 12 people and a state of the art modern kitchen with all top of the range fixtures and fittings and a fully equipped office. 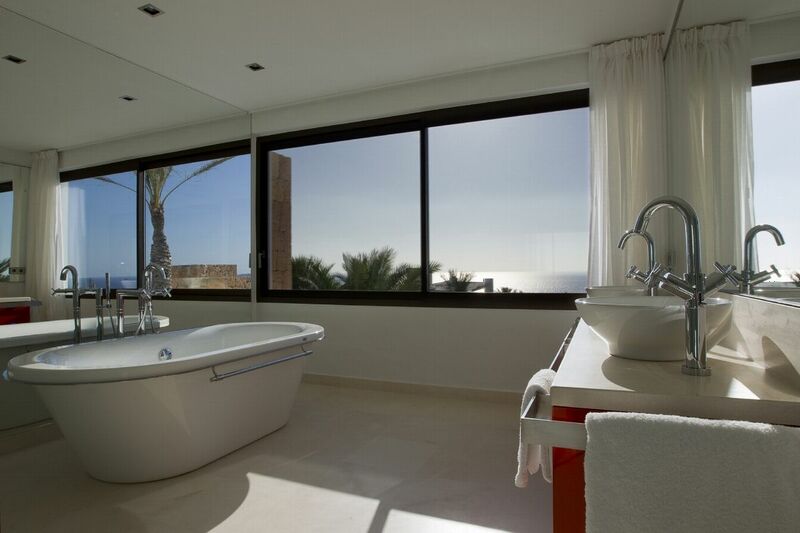 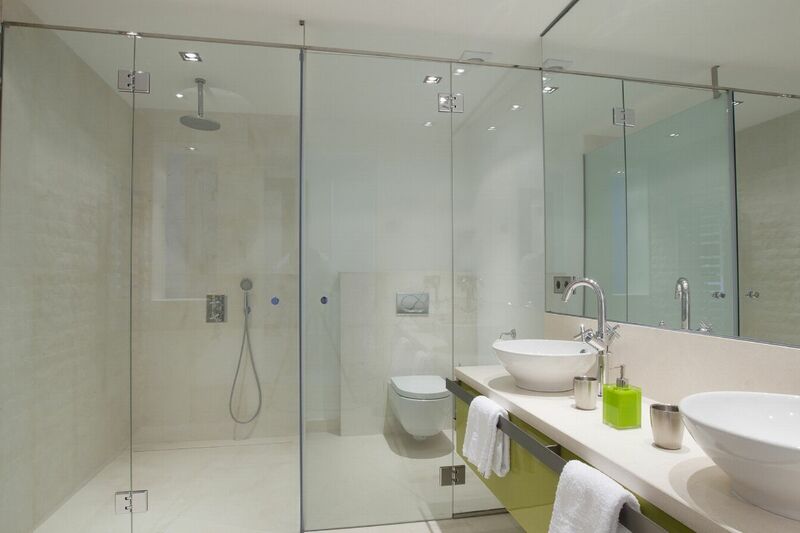 Master Suite , with modern and sophisticated decor and high quality designer finishes, private terrace and en-suite. 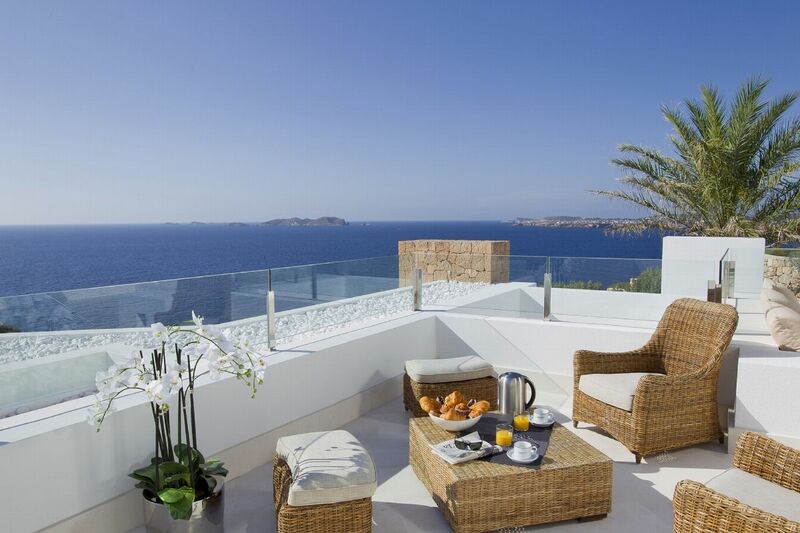 With modern and sophisticated decor and high quality designer finishes, private terrace.